Do you want to improve the URL structure of your website? 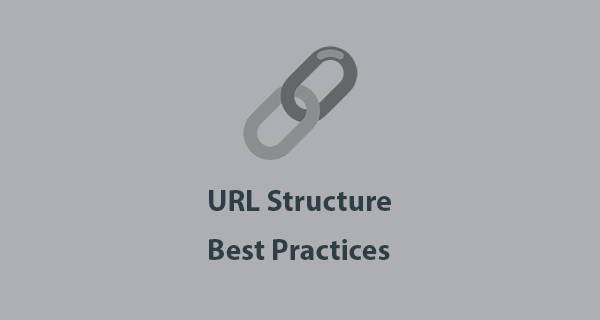 In this post, I am going to share some of the best practices to optimize URLs. Your website URL structure can improve SEO and user experience to a great extent. A site’s URL structure should be kept as readable as possible to humans as well as search engines. A good URL structure is the one which is memorable. These tips will help you create URLs that will add to the success of your website. Also, if you are looking for more advanced information on this topic then check out this post on Canonical URLs. It is one of the ways that a search engine and human gather knowledge about a web page and its content, so it is important that you include one or more relevant keywords in the URL. They will be most useful when they match the content on your page. Think about how often you copy and paste URLs from social media, in text messages, and in emails. As there is no anchor text, the text in these URLs is vital in describing what the link contains. When you are using relevant keyword within the URL, you are really checking many boxes at once. You can use these keyword research tools to find great keywords. The keywords are great for communicating what the content is all about to search engines so that it can deliver your content to those who are performing a relevant search query. I have recently compiled a list of the best free SEO tools, be sure to check it out. As a URL is read by both, search engine and humans, it is important for it to make sense. Your URL should be able to tell the reader what they will find if they choose to click on it. For example, when you put in many keywords and delete the extras, you will still have a URL that makes sense. Ideally, a URL would have multiple keywords – just make sure that it does not look like spam. Google penalizes websites that use such spam techniques. This is especially important when thinking about accessibility. You should try to make the URL as easy as possible to read for the search engines and the users. You should remove words that do not add significance to the URL for the sake of readability. This would be words like “that” “and”, or even a few extra words from the end that are used for classification. The main thing to remember is that while you can take out some extra words, make sure that the URL is still readable for the humans. Not only will it help them understand what the site is really about, but it will also make them feel more trustworthy. Rather than using the phrase like “7 ways that will help you lose weight”, you can shorten it to “7 ways to lose weight”. It expresses a clear thought as to what the content is about and what to expect from it. If for some reason you end up with two URLs that contain similar content, you should consider using a 301 redirect or a canonical tag. Please check this post on what is canonical URL and how to use it. Having duplicate content doesn’t really make or break for a search engine, but it might harm your search engine potential because of the ranking signals being split between two pages. It might not occur to some people that a web page will have a www version as well as a non-www version and even an HTTP and HTTPS version. The option when separating words in URLs is to use hyphens, underscores or use nothing at all. It is highly recommended to go with the hyphens. This will help with the overall readability of the URL, making it easy for the search engines and humans to comprehend it. Underscores have actually risen in popularity within URLs, thanks to search engines overcoming their previous challenges with them. Now, hyphens and underscores are treated similarly. Spaces are not recommended because they translate into %20 within the URL and take away from the overall readability of the pages. Avoid spaces when possible, but this has become easier thanks to the newer content management systems. Just do not forget to double check your hyphens and underscores, ensuring that they are not truncating your URL. Ideally, a website should be using a root domain and subfolders to categorize the content. There are still people who argue which is the ideal scenario either to use a subdomain or a single domain. I have written down a post on subdomains before, if you are interested you should check it out. So in terms of URL structure, you should be using 1 domain and many subpages to categorize your content. However, if you have already categorized your website into subdomains then at this point you should stick with your choice. These URL structure practice will boost the SEO of any website. Let me know your thoughts in the comments below or follow me on Twitter. If you are looking to boost your site traffic and don’t have time, you can always rely on my quality SEO services. I have read your post, It’s very informative and helpful for me. I admire the valuable information you offer in your articles. I will try to keep my pages url according to seo.